Here are some of our family quick fix favorites for additions to lunches or sides with dinner as well as healthy snacks to have on hand. You can make large batches of any of these dishes and work on them over the course of 3-5 days, depending on freshness. I like to do a mixture of half sweet potato to half red skinned potato when I make a potato salad, but for this purpose I am showing you a basic American dill potato salad. Peel (or wash well) and chop potatoes and add to boiling water. Cook for 11 minutes, and check for doneness. If potatoes get too soft, they will mush, but if they are too hard, they won't taste as good, so check them every minute from the 9-15 minute time range. Mix well and add this mixture to potatoes. Mix with wooden spoon and refrigerate. Optional additions: I love tomatoes and salsa in my potato salad as well as fresh green peppers and raw onions! I do love cabbage. It is affordable year round, so good for you and versatile. I recommend boiling your head of cabbage for 5 minutes then chilling immediately in ice water to help reduce the gas producing effect. The cabbage will still retain crunch. While a sesame oil, lime, and cilantro coleslaw is my personal favorite, I am posting the basic American coleslaw recipe here to start with. 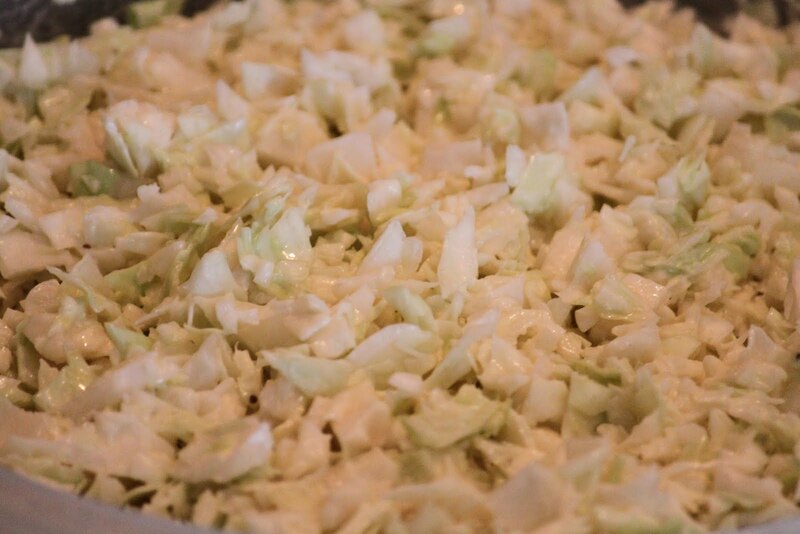 Most kids are a fan of this creamy sweet method of serving cabbage, so try packing some in those lunches! Rinse and chop 1 small head of cabbage (white or red will work). Mix this creamy sauce together and dip a piece of cabbage in to taste. If you would like a little more kick, add more apple cider vinegar. If you like more sweet, add some stevia powder or a dash more honey. This amount of dressing will coat your cabbage lightly, so double the batch if you prefer a creamier coleslaw than the one pictured. 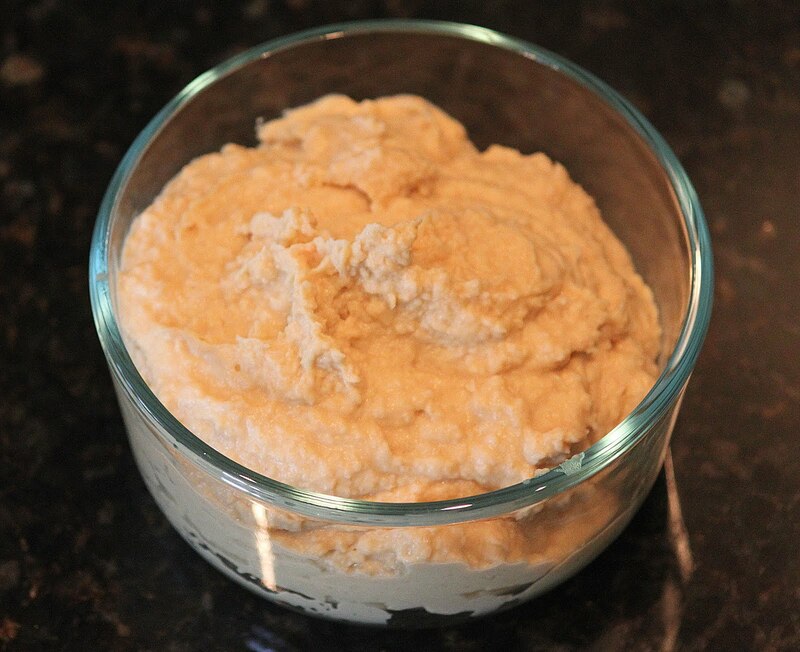 Hummus is so affordable, so easy to make, and oh so delicious! I often encourage my nutrition clients to add hummus and veggies as a night time snack replacement to chips and sweets. The beauty of this is that you can customize it to suit your style. For example, say you want more spice, add more garlic. If you want less oil, add some unsweetened almond milk and cut back on the oil and so on. Blend ingredients together. 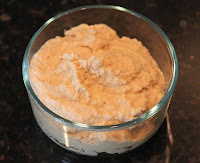 If you need more liquid, add 1 tablespoon more olive oil or tahini, depending on your taste preference. Unsweetened almond milk can be added if you want to add more liquid without adding more oil. Serve with sliced Jimica, Kohlrabi, Carrots, Celery, Nut Crackers and more. All three of these recipes are gluten free, dairy free, and egg free. In addition these are great base recipes to add Super Antioxidant Spices. Click here to read more about those antioxidant boosters for your foods.